Hokkaido isn't your usual Japanese tourist destination. It would be fair to say that it is a little out of the way. In fact, it has been described as 'Japan's final frontier'. 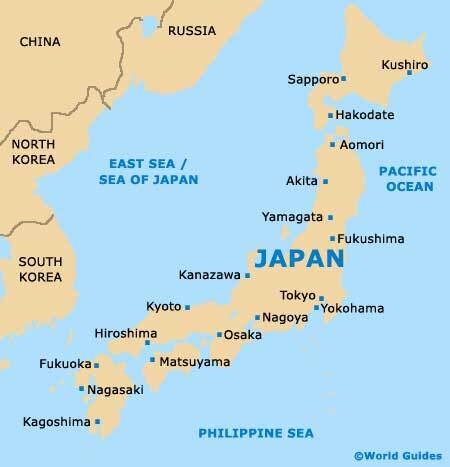 To all intents and purposes, Hokkaido is separated from the main Japanese island of Honshu by a stretch of water. Or at least it would be if an underground railway hadn't been built to connect the two stretches of land. The Seikan Tunnel, which opened in 1988, is currently the longest and deepest working rail tunnel in the world. Compared with Honshu, Hokkaido has something of a spacious feel about it. There is a good reason for all that space - it is a large area of land and relatively few people choose to live here. From April to October, it is an idyll of a place, with plenty of opportunities to let off steam, whether you are a keen fisherman or hiker. Come wintertime, though, it is a different matter altogether. Freezing cold weather hits the region and Hokkaido becomes more attractive to the skiing fraternity. Top of the tourist hit list is the city of Wakkanai, with its frozen harbour views and annual national dogsled races. Like many other parts of Japan, seismic activity in Hokkaido isn't unknown. Within the region there are five volcanoes that are still counted as being active. Earthquakes are a fairly common occurrence. One of the most devastating took place on the island of Okushiri in 1993. Sapporo is Japan's fifth-biggest city and stands within in the Hokkaido area, on the northern side of Japan. With a large number of family parks, glorious gardens and seasonal winter sports, Sapporo hosted the Winter Olympics in 1972.